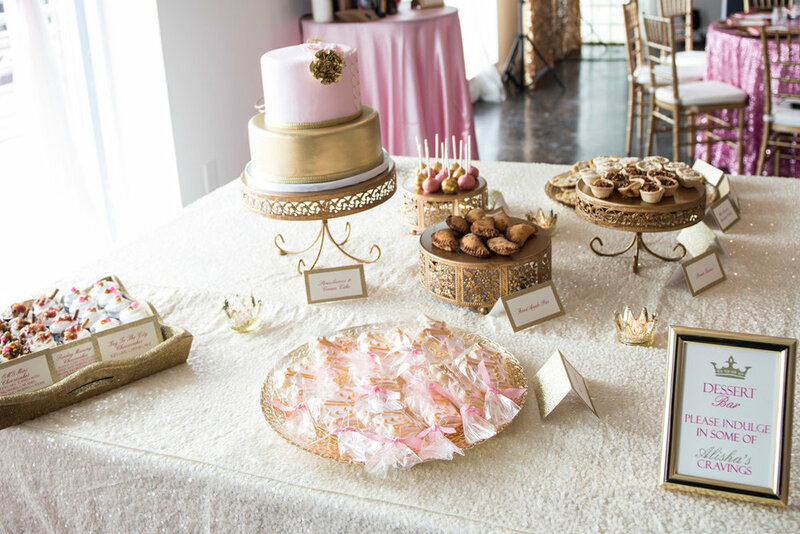 This baby shower celebration was held at The B Loft and is “Fit for a Princess.” The theme planned by ellyB Events was perfectly played out in elegant detail with fresh tones of pink and gold and ivory. 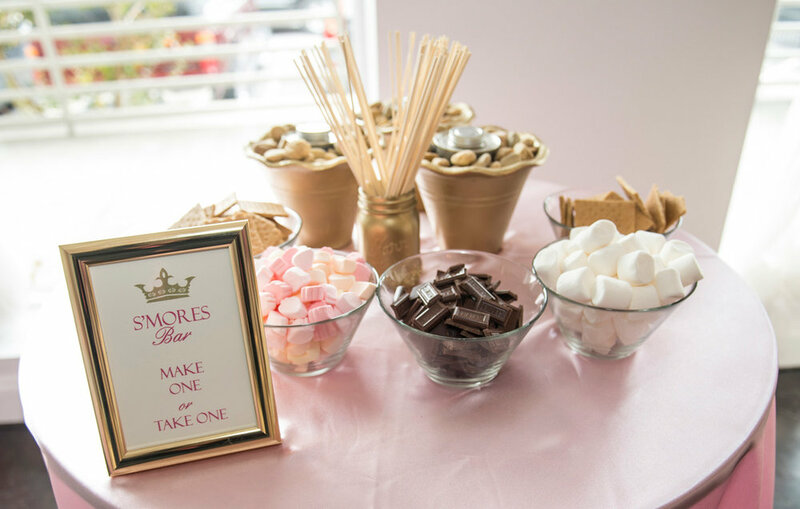 Food stations, monogrammed mugs, personalized decals and golden crowns were just some of the perfectly planned details by ellyB Events! The fun co-ed theme with a photo booth, cigar bar and lounge kept the guests entertained and the energy level high. A scrumptious brunch by Sun in my Belly featured honey glazed bacon, biscuits, fried green tomatoes, sandwiches, and more. A dessert bar with Opulent Treasures cake and dessert stands fit for a queen took sweets to a new level with an array of delights from various caterers that included mini-cheesecakes, sugar cookies, red velvet cupcakes and a variety of pies. It was a gorgeous affair with a precious purpose... A BABY! Catch a glimpse of the precious celebration with these images by Dana Lee Jones Photography and featured on The Celebration Society’s blog… here. 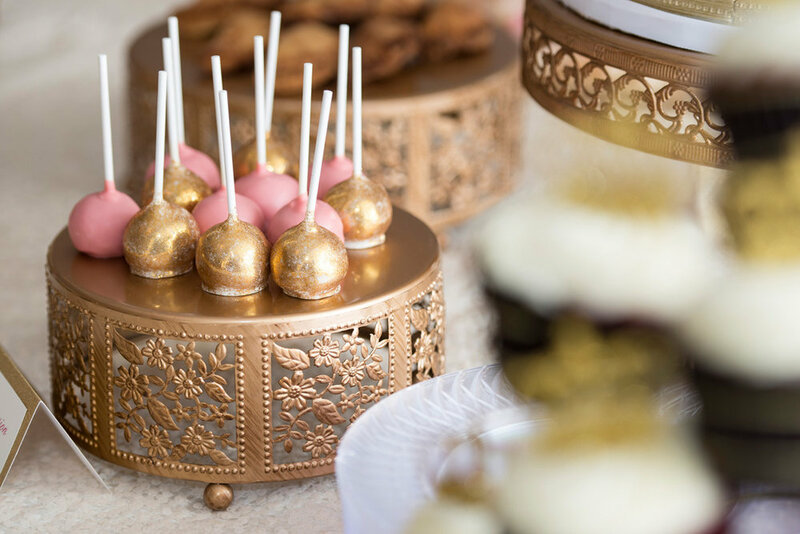 Opulent Treasures Loopy Band Cake Plate in Antique Gold and Cherry Blossom Cake Stands are both sold in sets of three, each with a small, medium and large cake stand to create a gorgeously styled dessert table. Love these hanging chandelier buables and flowers! Mommy and Daddy-to-be cutting the cake! The Celebration Society is a fabulous resource for all elements of event planning. 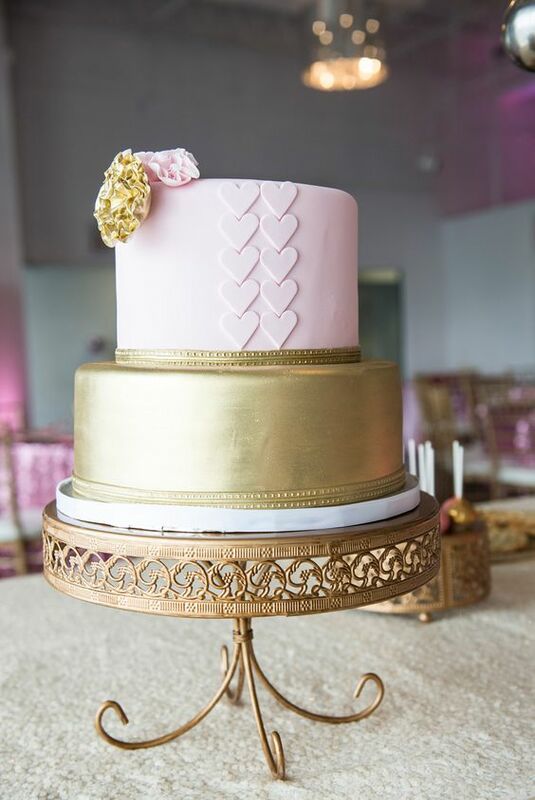 You’ll find all the vendors you need to pull off your next big celebration! They help venues & vendors connect with brides & party planners in the Southeast.